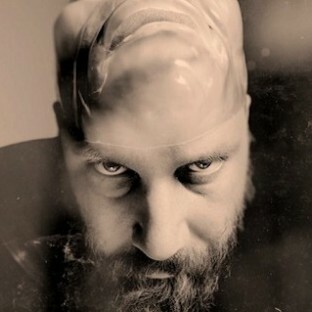 Dubbed “the godfather of indie-hop,” Sage Francis is best known for his poetic leanings and scathing socio-political commentary. Francis first earned nationwide acclaim in the early 2000′s by winning highly coveted titles in the emcee battle circuit; the advent of Napster helped his music gain a massive international cult following. He is the founder and CEO of Strange Famous Records. You can follow him on Twitter here. Paul "Sage" Francis (born November 18, 1976 in Miami, Florida) is a hip-hop artist based in Providence, Rhode Island. Noted for his intense flow and sharp wit, Francis has won acclaim both as a freestyle battler and as an unapologetic, intellectual lyricist. Francis uses a broad emotional palette to address a wide range of personal, cultural, and political issues. His unconventional style and persona have given him crossover appeal, but at the same time alienated some hip-hop listeners. Prior to embarking on a full-time career as an MC, Francis displayed his skills in slam poetry. During the late 1990s, he recorded his first demo tape (1996), fronted the now defunct Providence hip-hop band Art Official Intelligence, and hosted a weekly slot on independent radio station WRIU (the "True School Session"). He also formed the Non-Prophets and released a 12” (Drop Bass/Bounce/I Keep Calling, Emerge Records, 1999), following up in 2003 with their first full-length offering, Hope. Francis is a contemporary of underground hip-hop artists such as Slug, Eyedea, Sole and the anticon. collective. He is also loosely affiliated with the vague underground hip-hop super-group The Orphanage. As a solo performer, Francis won the MC battle at the 2000 Scribble Jam, and in 2001 he came close to repeating as champion (semi-finalist) while performing as his "metal" alter ego, "Xaul Zan". Francis released his first proper solo album, Personal Journals, on Anticon. in 2002. He toured with a live band on the Live Band Dead Poet Tour to support it. Francis subsequently became the first hip-hop artist to sign with Punk label Epitaph, agreeing to a three-album deal. His first album for Epitaph, A Healthy Distrust, was released in early 2005 and was followed up with Human the Death Dance in 2007. One of Francis' best-known tracks is "Makeshift Patriot", a commentary on the American media recorded one month after the September 11, 2001 attacks which he released on the internet as an MP3 as well as a limited edition 7" single. In February 2005 Sage dropped his second full length album on the originally punk label Epitaph, it was widely regarded as the best underground hip hop album of the year by critics and fans alike and featured heavily political tracks such as "The Buzz Kill" and "Slow Down Gandhi" and more personal material like that more similar to that of his debut 'Personal Journals' such as 'Bridle' and a few heavily satirical comments on the modern day rap and urban scene such as the satirical comment on youth gun culture 'Gunz Yo'. Sage has helped to set up the Wiki KnowMore.org which is described as a 'way to keep tabs on the some of the biggest and most dangerous businesses in the world'. He is a vegetarian and also chooses to abstain from drugs and drinking, though doesn't label himself as "straight-edge" because he believes "you shouldn't define yourself by what you don't do." Sage has set up his own label and signed some of who he claims to be his favorite artists of the moment such as Buck 65 and Proplyphic and Reanimator named Strange Famous (which shares his initials) with which he released his most recent work 'Human the Death Dance' This album was released in May 2007 and takes a step away from the heavily political 'Healthy Distrust' and heads back to the more personal lyrics of 'Personal Journals' and comments on modern culture. The album features cameos from many Strange Famous artists such as Buddy Wakefield, Buck 65 and Reanimator. In 2010 Sage released his fourth full length album Li(f)e (the title coming from the famous quote from 'The Cure' on the Non-Prophets album Hope "Life is just a lie with an f in it and death is definite"). The album was extremely well received and one particular single off of the album 'The Best Of Times' received extensive air play on the popular British radio station Radio 1. After Sages Li(f)e tour Sage has stated that he will no longer be doing tours but will still be releasing albums and other materials, instead he will be doing select gigs throughout each year. On 3 June 2014, Sage released his fifth studio album 'Copper Gone'. 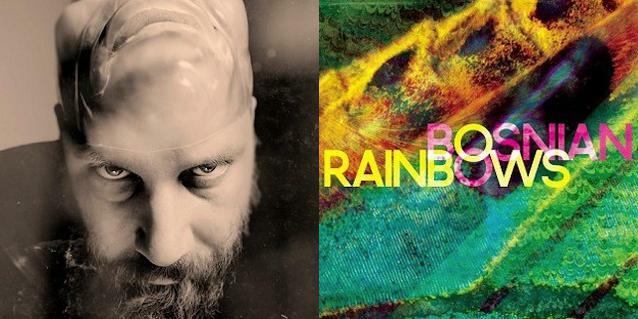 It is the first official studio album after Sage Francis announced his hiatus, which lasted for four years. Read more on Last.fm. User-contributed text is available under the Creative Commons By-SA License; additional terms may apply.